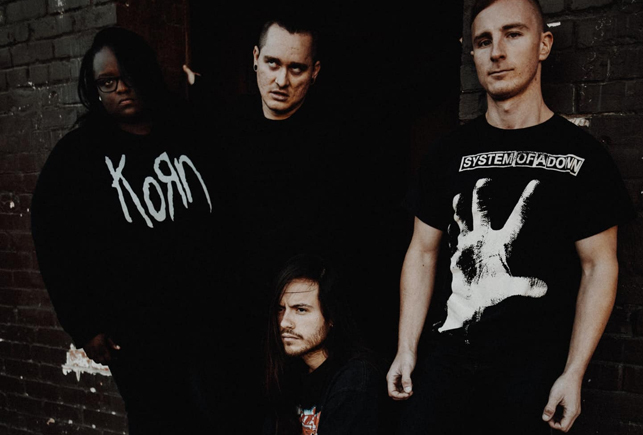 Tetrarch is a Nu-Metalcore band out of Atlanta, GA. The band currently resides in Los Angeles and are slated to release new music in the Summer of 2017. Their debut album was recorded with producer Dave Otero (Cattle Decapitation, Khemmis, Allegeon), and blends the modern metal core sound with the energy and dark vibes of 2000’s Nu Metal. With their influences being bands that have topped the metal world for years such as Slipknot, Korn and Metallica – Tetrarch are not shy about wanting to reach the top of the genre and are taking no prisoners in their fight to do so. Metal Mark from Skulls n Bones writes, “Their sound is catchy, yet heavy as hell, and their live energy is just undeniable.” The band will be taking their high octane show on the road, touring extensively through the US in 2017. Catch the band on tour this summer in a city near you.